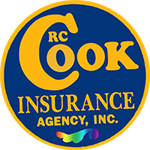 Get your free towing insurance and recovering insurance quote from RC Cook Insurance. Call 330-296-3628 for more information. We're located in Ravenna, OH. Your liability in towing and recovery comes from the vehicles you drive, the cargo you tow and the property you garage. Each poses risks that you can protect against using towing insurance and recovering insurance in Ohio. Ohio Towing insurance and recovering insurance is available to any business owner that operates a towing company. The best insurance will cover the vehicle liability, on-hook cargo liability and garage liability.